Happy Tuesday~which really feels like Monday, LOL!! I LOVE long weekends, but they really mess me up, LOL!! Did you do anything fun over the weekend?? My hubby is still not feeling great, so we took it pretty easy; I was able to get a lot of stuff crossed off my to-do list, which makes me very happy!! I even had some time to stamp on Monday afternoon (not sure why I didn't get my post up yesterday~probably because I was a little messed up "day wise"). 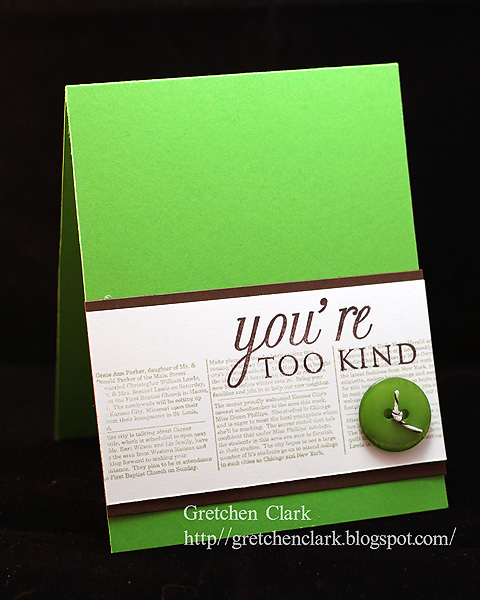 I have a few birthdays coming up, so I thought I would get a head start on making some cards. 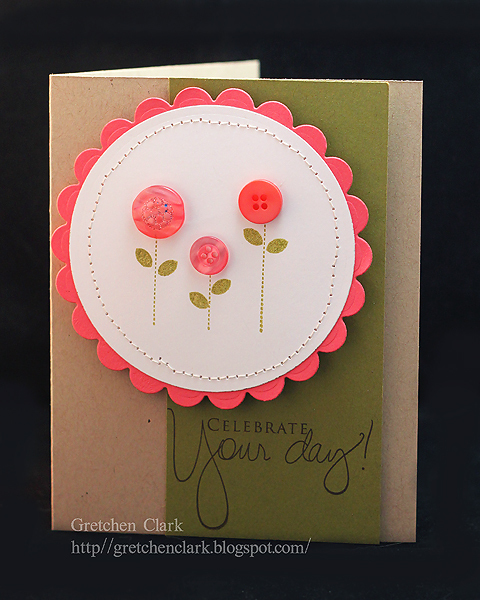 This card looks pretty similar to one I made last week, guess I must like the layout. It has been a little crazy around here!! 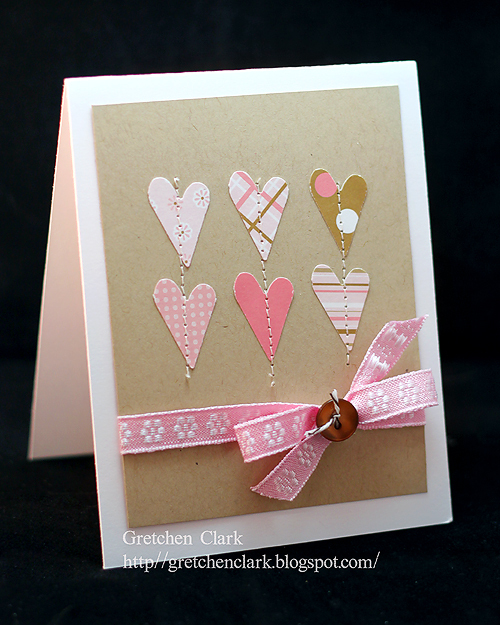 I have a quick and easy card for you today~this one came together pretty quickly...I forgot that I had these tags in my stash of scrapbooking stuff and LOVE how they look on a card. Mike's is still not feeling great, his labs came back normal, but the doctor is going to treat him like he has Valley Fever, cause he has all the symptoms (and his coughing is driving me CRAZY!! )...so I am off to the Pharmacy to pick up his medication...I am hoping he starts feeling better soon, cause I have lots of "honey-do" projects saved up for him, LOL!! Also last week (the same day Mike had his blood drawn), some sort of pipe fell off his car, so we dropped it off at the shop, and they said it would take 5 days just for the part to come in, then maybe a day to fix it~good grief!!! So I have been getting chauffeured around (I am realizing how much I dislike depending on people for rides~thank goodness my kids like me and drive me around), since Mike is using my vehicle. I do have to say that I am really very blessed to have my own car~and boy do I miss it!! there is Never a dull moment at our house, LOL!! Hope your Wednesday is FABULOUS!!! Monday, Monday, Monday...are you ready for a new week?? This weekend was pretty laid back for us, my hubby has been fighting some sort of virus for two weeks. We were hoping to get the results back from his labs, on Friday, but we didn't!! We are thinking he may have gotten Valley Fever, so hopefully we find out today so he can get some meds and start feeling better!! I have stuff for him to do around the house, LOL!! My carpets were cleaned on Friday, so AWESOME (that is my OCD speaking)!! You can read about it here if you'd like. After making a bunch of Thank You cards for Josh on Friday, I decided to keep going with the Thank You card theme (I always need TY cards!!). This one was super~duper easy!! I have banned myself from Pinterest for the rest of the day, so I can get some stuff done, LOL!!! Yesterday, Josh asked me to make him a few Thanks You cards (of course I responded with No Problem!! 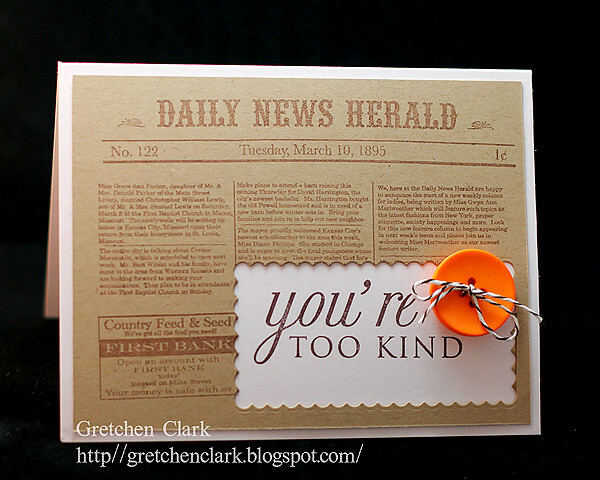 I love an excuse to make some cards, LOL!). Since they will be written and mailed by him, I didn't want to "girl" them up!!! I went with a very clean & Simple design. 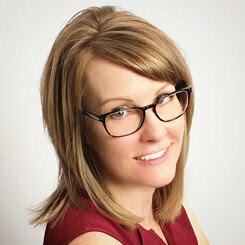 Have you heard of Pinterest??? I am seriously addicted! 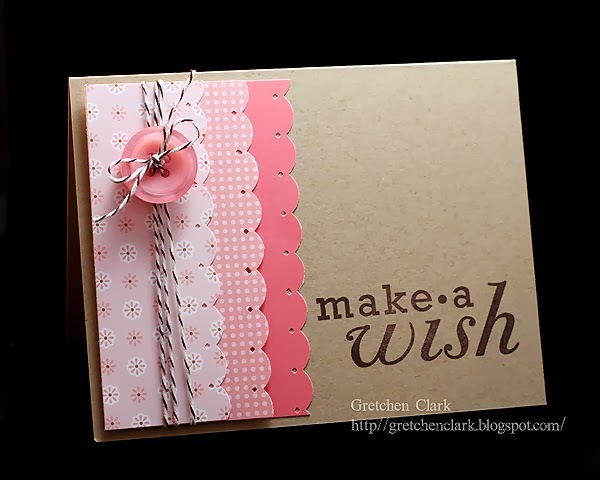 !~I should have been stamping last night for my post today, but I was mesmerised with Pinterest, LOL!! So many great ideas on that board!!! Anyway, I will have a post up later today. And if you want to join in the fun/addiction of Pinterest~send me your email address and I can send you an invite! 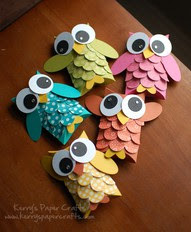 I copied this from one of my Pinterest boards~how cute are they??? This weekend was fun and just flew by way too fast (but don't the weekends always fly by??)!! 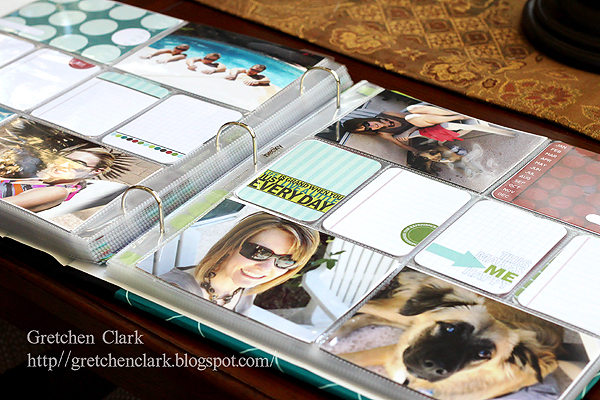 I have been plugging away at my Project Life album *smile* which makes me feel so good!! I have to say that this system is super easy and I really love how fast it comes together!! I am working backwards (my 2010 photos), and I am up to May (I still need to do the journaling, but the fact that almost half the year is in the album~just makes me want to sing, LOL!!). Ashley and I realized that the last time we went to the Container Store was about a year ago (probably because it is a 40 min drive). Happy Friday!! My favorite day of the week!!! 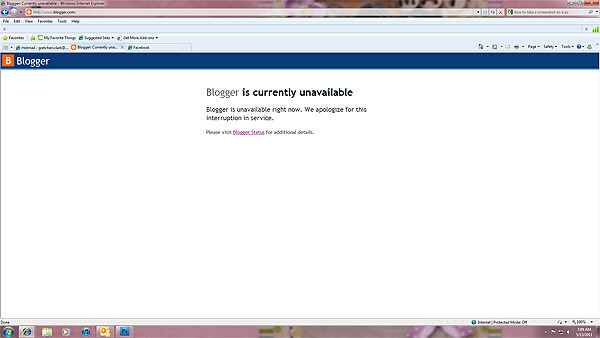 I am not sure if you knew or not, but blogger has been out of commission since early yesterday morning (5/12). It was seriously driving me crazy, LOL!! I kept checking last night (every 10 min), to see if it was back up, so I could update my blog for today. Finally this morning it is working~hooray!!! It is gonna be a quickie post today, since I have a to-do list a mile long and really need to get off the computer this morning. Okay Friends I am off to run some errands and hopefully clean my bathrooms today!! The week is moving right along *smile* Here in AZ, the weather has been simply GORGEOUS!! I think the high yesterday was 79 degrees~not the typical temps for this time of year (we are usually hitting triple digits). I am loving the fact that I can open my windows and let the fresh air in!! 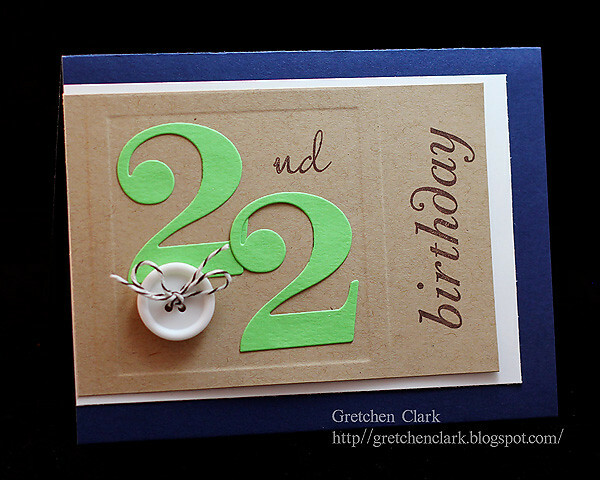 I have another 22nd birthday card for today's post~since Josh had 2 birthday celebrations (one for work and one at home). 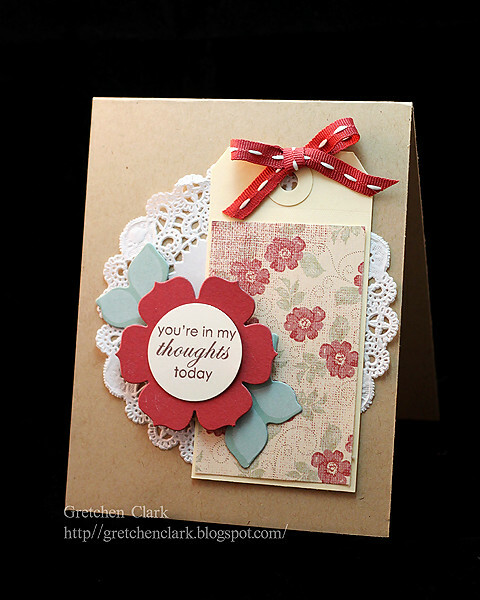 I purchased this for my cuttlebug last week, and was anxious to try some embossing. I seriously had to watch this video twice, LOL!! Once I figured it out (a few bad attempts before watching the video), it was pretty easy peasy! 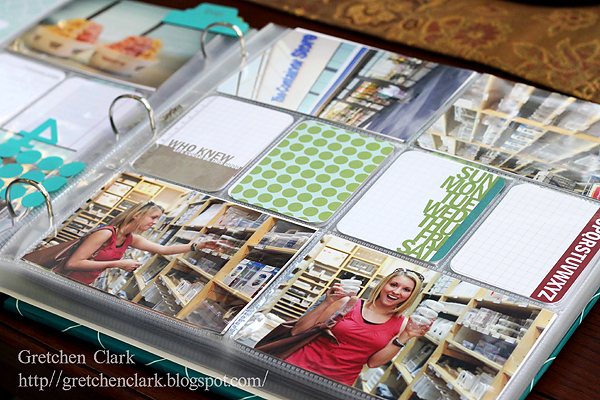 I have the day off from work today *woot woot*~and I am planning to work on my Project Life album. I spent some time last night organizing my March-May 2010 photos (you can read how I am approaching my PL album here). I think I may end up with 2 albums (I am going to swap out the original binder for this one) for 2010, cause I have a hard time eliminating photos~I want them all to go in. I will try to post more about PL on Friday. 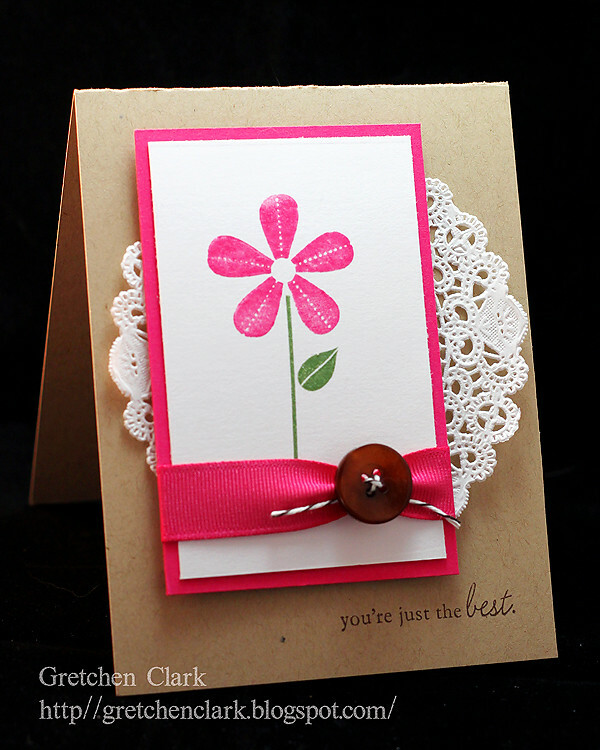 Of course I also hope to get some stamping time in as well!!! Have a terrific Wednesday peeps!!! I hope you all had a fabulous weekend~and if you are a mom~I hope you were Celebrated!!! We had a combination Mother's Day/Josh's Birthday party yesterday, so our Sunday was full of fun and celebrating!!! 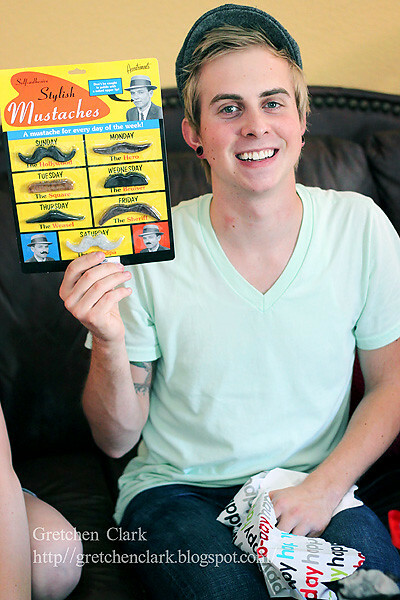 Josh with one of his favorite gifts, LOL!! It is so hard for me to believe that Josh (the baby of the family) is 22 years old today!! Time sure does fly!! He has turned out to be such a great person!! I made this card for Josh last week for the party we had for him at work. I have to say that I am really liking the PTI by the Number dies!! 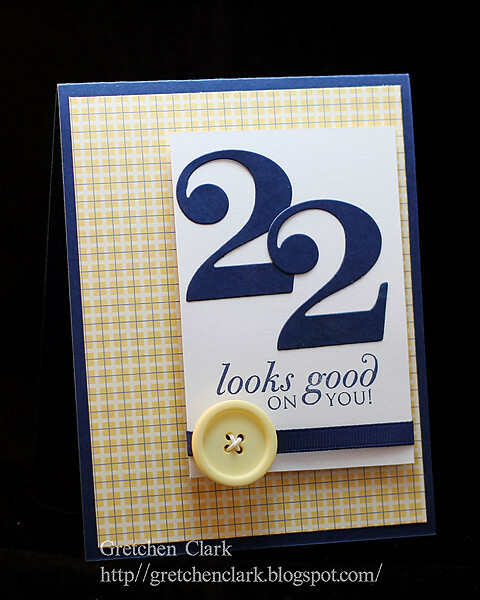 They are so fun for personalizing birthday cards (cause I don't think I would have found a card for a 22nd birthday in the store, LOL!!). Happy Birthday Joshie!!! I LOVE you! TGIF!!! Hooray for the weekend!! 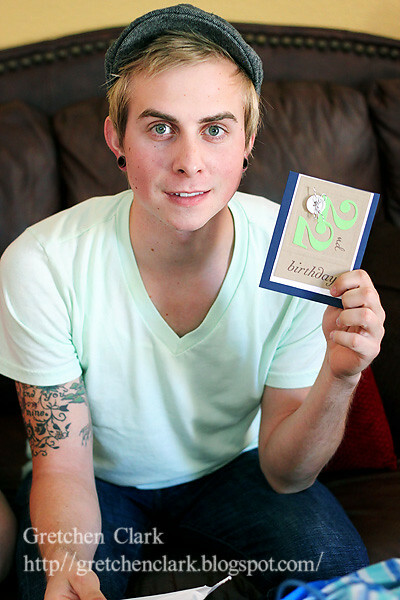 This weekend we are celebrating Josh's 22nd birthday (whoa~is he that old?) and Mother's Day. Josh was born on May 9th which is always near, or on Mother's Day...I cannot think of a better way to share Mother's Day!! And when it is your birthday, you get to pick the meal...this year Josh chose Turkey Cranberry Sandwiches (just like the Paradise Bakery ones), and Strawberry Shortcake for dessert, YUM!! I plan on taking lots of photos~if my kiddos cooperate, LOL!!! I read a blog post a few days ago about starting a tradition of getting a photo with your kids every Mother's Day (I think that is a terrific idea!! ), We usually snap one, but I am going to start making sure we do it EVERY year!! It is so neat to look back and see how everyone has gotten "less young" ha! 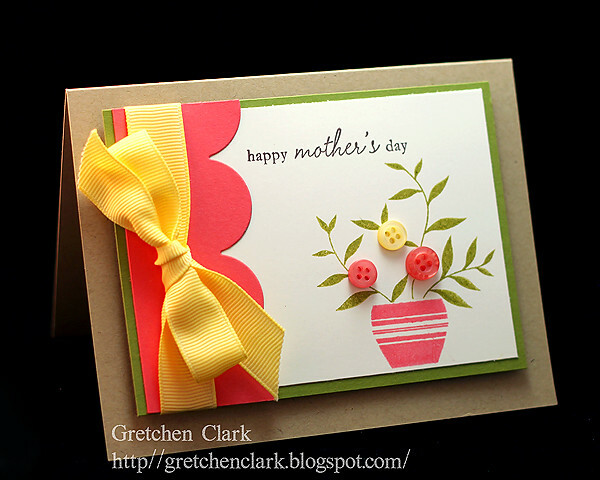 Here is the card I made my mom for Mother's Day (I hope she doesn't read this before it arrives!!!). Happy Mother's Day MOM!!! I hope your Monday and Tuesday were FABULOUS!! I was a little tired starting out the week, but it seems like I am back in the swing of things, LOL!!! 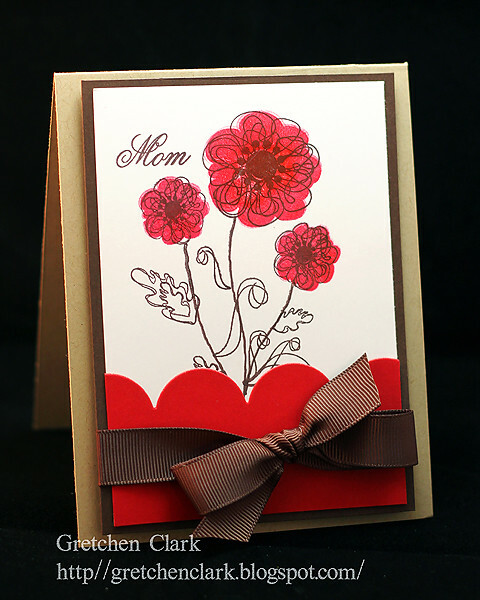 I have been working on Mother's Day cards; Here is the card I made for my mother in law; I have not used this stamp set in so long~I forgot how much I liked it!!! Glad I dusted it off. I just tucked a gift card inside and mailed it off yesterday, so I am hopeful it will arrive in CT before Sunday. on a random note...I have been drooling over this, ever since I got my iphone!!! I thought that I was close to getting one~until we had to replace the radiator in my vehicle yesterday~BOO!!! . I hope you had a fabulous weekend!! Today is going to be a quickie...since I am updating this at 11pm on Sunday night~WAY past my bedtime, LOL!!! Yesterday Ashley and I were given a really nice gift from some friends of ours. They had tickets to this show, and were unable to go~so they gave them to us; it was a great show and we had a lot of fun (thanks Mike & Cindy!!!). Nate's parents were visiting for a few days last week, and we hooked up with them on Friday night for dinner~it was so nice to catch up!!! Ashley and Nate took them to this, and said it was really interesting~so I think Mike and I may go on a date night next weekend and check it out for ourselves. 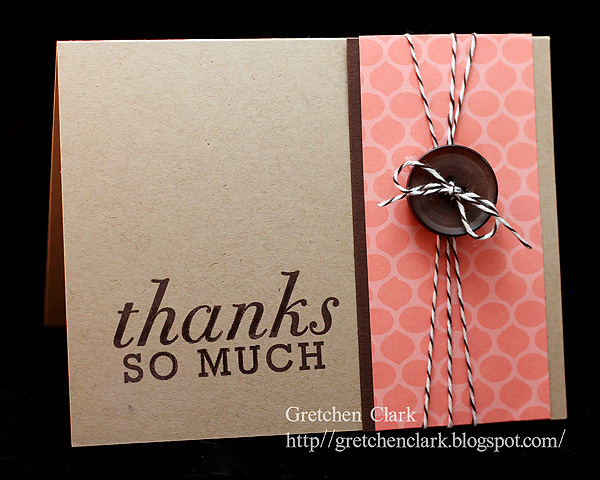 Here is a quick card I made for my bosses, who spoiled us for Administrative Professionals Day.